$10K PRICE ADJUSTMENT!!! 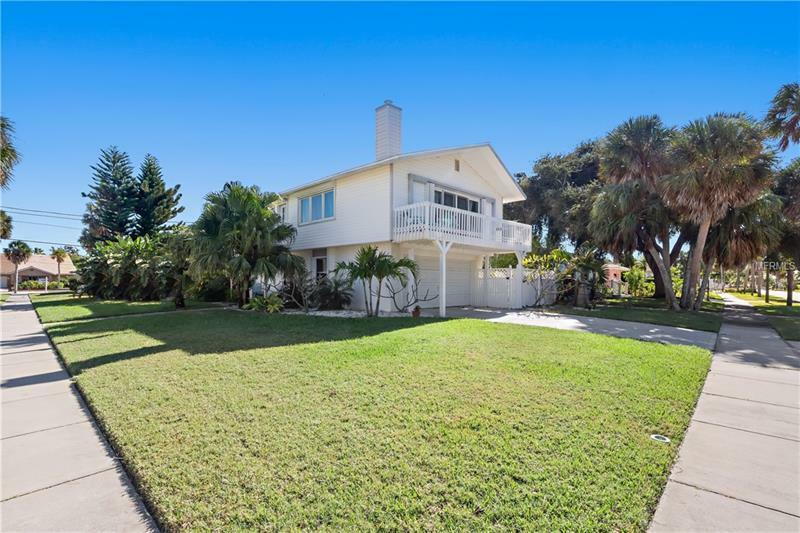 Stunning Beach home in the highly desirable Carlouel Estates.This recently updated 2 story pool home is just a block off the water on the north end of Clearwater Beach with private beach access! The open concept floorplan on the 2nd floor includes the kitchen, living area, 2 bedrooms and 1 bath. Downstairs is a 3rd bedroom and an additional bathroom. The kitchen which opens to a large living and dining area with a wood burning fireplace was recently updated with new cabinets, Quartz countertops and a stainless steel Samsung Smart Refrigerator. The flooring throughout the home, including the staircase was updated with a porcelain wood tile and the railing was redone in a Nautical theme. Recessed can lighting has also been added.The AC unit for the main floor was installed in 2016 and smaller unit is a 2011.The home features 3 balconies where you can entertain, sunbathe, or relax and enjoy a beautiful sunset. The balcony in the back of the home overlooks the pool deck and is accessible from both bedrooms through sliding glass doors. The pool area has a screen enclosure and is accessible through French doors downstairs. Other features include hurricane shutters and a ‘Ring’ system for security. Perfect for someone looking for a move in ready home! Walking distance to the beach and minutes to Downtown Clearwater Beach. Also, in the community is the Carlouel Yacht & Beach Club offering private memberships. Don’t miss this beautiful home! All information deemed reliable;buyer to verify.